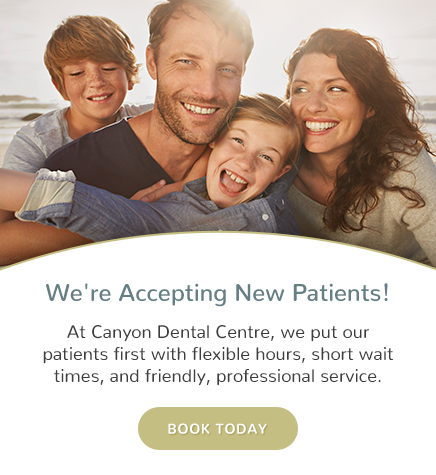 Digital x-rays are used at Canyon Dental Centre to get an image and record of your overall oral health. X-rays are an essential component of dental diagnosis and treatment. Some conditions might go undetected if not for the utilization of dental x-rays. Current equipment and techniques provide effective diagnostics at low levels of radiation exposure. Digital Radiography is a form of x-ray imaging in which digital x-ray sensors are used instead of traditional photographic film. Capturing and saving digital x-rays offers the dentist instant image of your overall smile.